Why Dell says no to Androids? 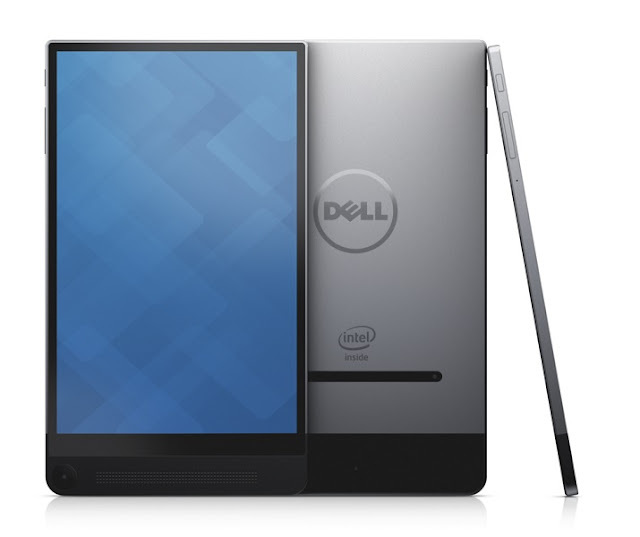 Dell is more concern towards Windows device instead of Android devices. So, Dell has decided to stop providing software updates for existing android devices. Dell Inc. is a privately owned multinational company based in Texas, United States. The company is responsible for developing, selling, repairing, and providing support services to computer related products. The company was founded by Michael Dell on 1st of February, 1984. The company has more than 1,03,300 employees. Personal computers, data storage devices, servers, network switches, softwares, cameras and other peripheral devices are sold worldwide by Dell. Earlier, Dell was only into hardware devices but later in 2009 Dell had made its entry into IT market. As per the survey done by IDC, there is a 21% of declination in traditional tablet market and the same declination is expected to take place again and again. Customers prefer more of the Windows 2-in-1 devices rather than android tablets. After the launch of devices such as Lenovo, MateBook, etc., growth of Windows 2-in-1 device has risen up to 70% in a year. It has been researched that in coming years, Windows devices will be going to lead the market, while android tablets will be going to shrink from the market. This is the reason why recently, Dell has decided to not to sell any android tablets, rather it has focus on the Windows 2-in-1 devices. These devices have sleek keyboard which can be either convertible or detachable. Convertible means that keyboard can be hidden from the device and detachable means keyboards can be detached from the device and attached when device needs to be used. The device is enriched with impressive and attractive graphics. User can enjoy 3-D gaming in full HD at around 40fps. These devices have comparatively high battery life as compared to other android devices which have comparatively low battery life. Windows 2-in-1 devices have a battery life of around 10 hours which are based on 36WHr battery. These devices are comparatively of light weight as compared to laptops. Therefore, it is more convenient for working employees as they do not need to carry heavy weighted laptops with them everywhere. Windows 2-in-1 devices are very helpful for the employees as these devices are touch-screen as well as they have detachable keyboards. Since Dell has declined to sell Android tablets anymore, therefore they won’t be providing OS upgrades anymore to people. The customers who still have android tablets and the tablets are currently in warranty period, Dell promises to provide services to them until their warranty period gets expired. If any customer who has android tablet and faces any issues in warranty period of android tablets, can contact to respective Dell Support Number for their queries.